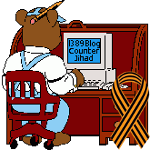 Why Medjugorje is a scam, not a holy place — 1389 Blog - Counterjihad! Vicky Randall and Robin Theobald, Political Change and Underdevelopment, Duke University press, Durham, 1998, pg. 28. Mart Bax, Medjugorje: religion, Politics, and Violence in Rural Bosnia, Free University press, Amsterdam, 1995, pgs. 122-3. The approved Roman Catholic shrine of Fatima, Portugal involved three shepherd children in 1917 coming upon an apparition of the Virgin Mary. The obvious intent of the Medjugorje children’s’ handlers, Franciscan monks, was to associate Medjugorje with the approved shrines of Fatima and Lourdes. Bax, pgs. 106 et seq. Randall and Theobald, pg. 250. Mart Bax, Holy Mary and Medjugorje’s Rocketeers, The Local Logic of an Ethnic Cleansing Process in Bosnia, Ethnologia Europaea, pg. 54. Ohio and Indiana are the heartland of the international Medjugorje movement, besides the aforementioned Franciscan University at Steubenville, there are major Medjugorje centers at Norwood, Ohio, the University of Dayton, and at Notre Dame, Indiana. Interview with Mike and Jackie O’Neill, April 2001. Fox 19 News, Cincinnati, May 3, 2001, Local Man Escapes Cult by Andy Treinen. Next post: “Our Lady of Fatima” … BUSTED! Looks Like Benjamin Netanyahu won, again. The Brotherhood’s FULL-ON Infiltration & Penetration Into Congress Via Reps Ilhan Omar & Rashida Tlaib: What’s To Be Done? Pop Culture Coffee Hour: Episode 92: Remember Eighth Grade? Roads From Emmaus: Should It Matter To Christians When Churches Burn? Ancient Faith Commentaries: Should It Matter To Christians When Churches Burn? 15 - Which Perspectives for the Dialogue between Orthodox and Protestants?